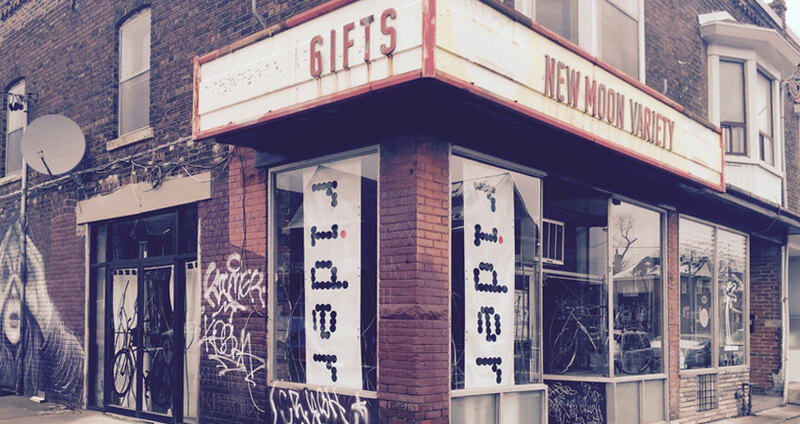 Come visit us at our NEW location open @ 386 Harbord Street, 1 block east of Ossignton. 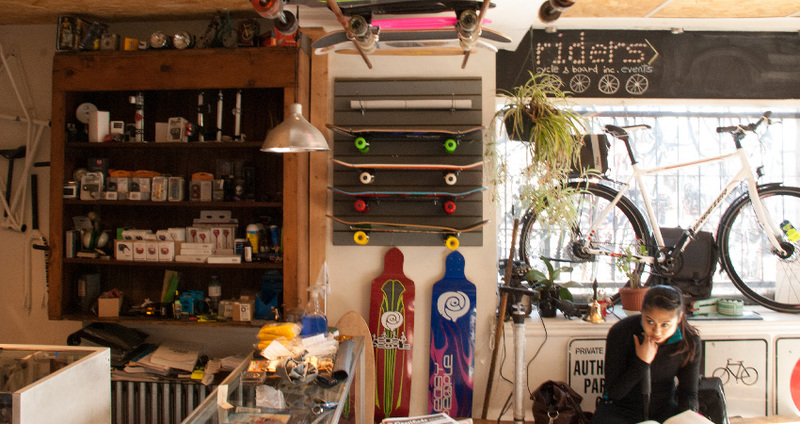 Riders Cycle and Board is your quintessential neighbourhood bike shop. 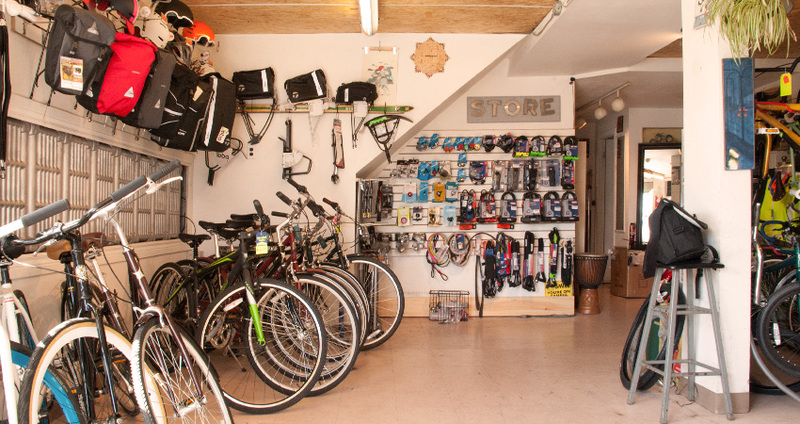 Owners, Jeff Ubalde and Valentine Tomlinson, have extensive experience in Toronto’s bike industry and teamed up to open a community-oriented shop. This is our seventh spring at Dovercourt and Geary and the neighbourhood has embraced the laid back atmosphere of our store. Bustling with activity, it’s one of the most popular spots on the street. 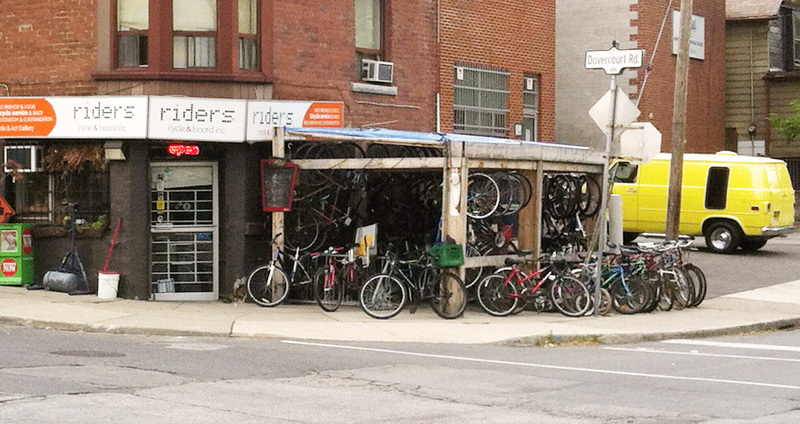 Commuters make up the majority of our clientele, but those looking for custom builds also frequent the store. 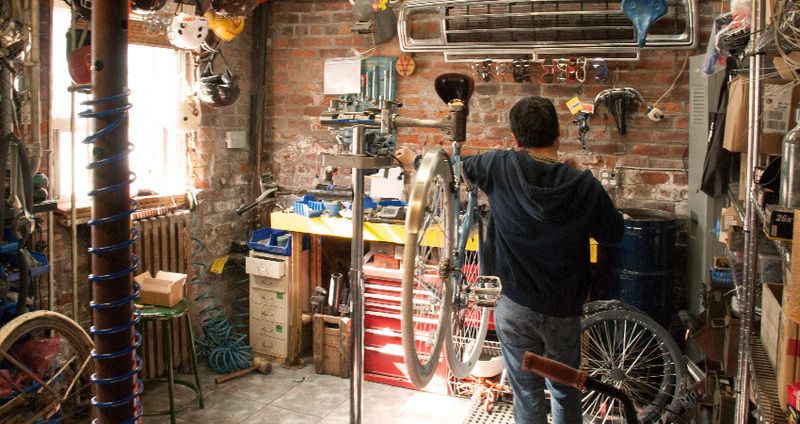 One of Riders’ specialties is working one-on-one with customers to build to unique specs, anything from vintage to high-end performance bikes. 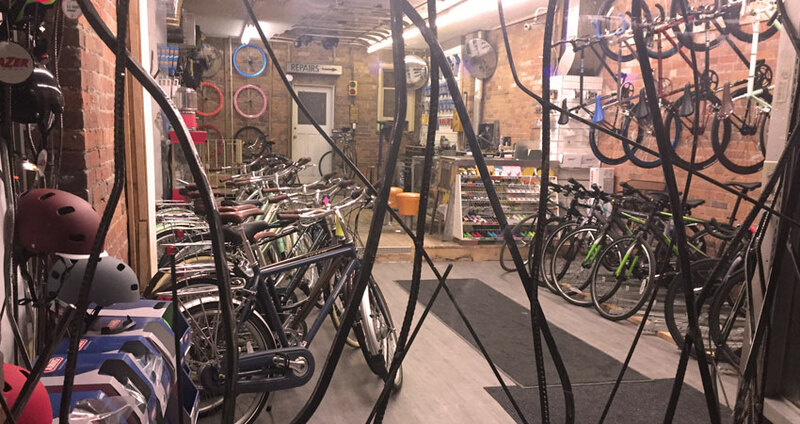 In addition to offering a full range of repairs (on every type of bike), Riders will do basic maintenance like replacing inner tubes and brake/derailleur adjustments while you wait. 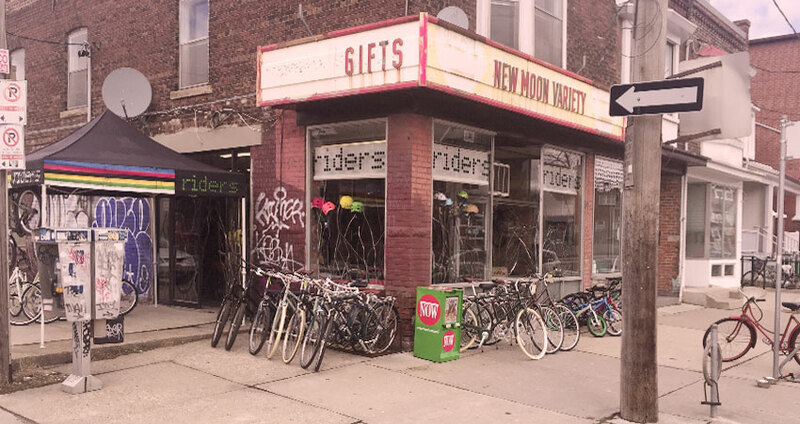 Riders stocks a full range of accessories, parts and casual/commuter clothing. 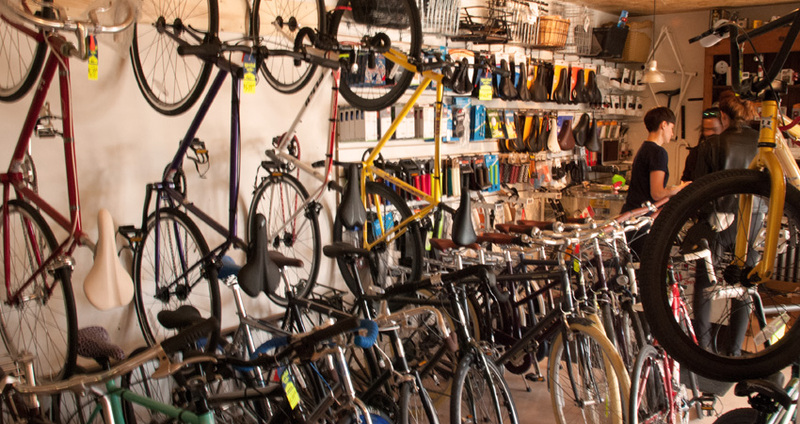 We have everything the average commuter could need, including helmets, tires, locks, fenders, and basic tools. If we don’t have something, we’ll order it for you. In addition to being an all season bicycle shop, we also have boards. The skate and longboard community is served all year with a selection of decks, accessories (trucks, bearings, wheels, etc.) and other components required for custom builds. 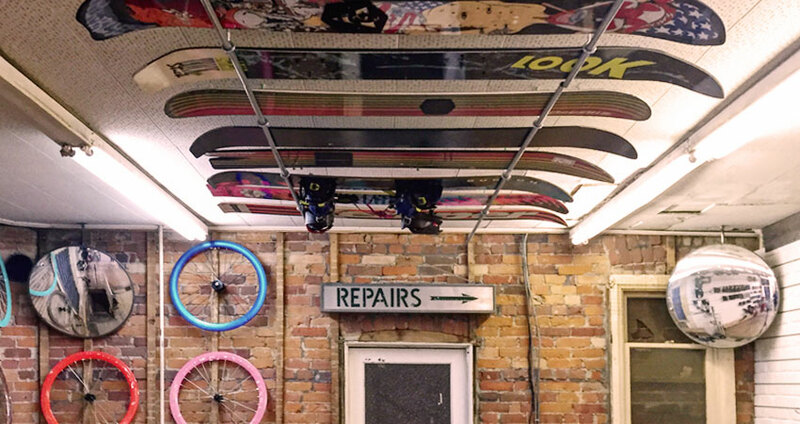 We service snowboards throughout the year. In the winter; snowboards, jackets and other winter soft goods fill the front of house.